Request our free brochure to find out more about our exciting selection of cruises. The River Danube is a journey through history and culture. 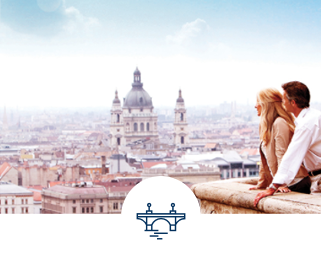 Among its gems is Vienna – the city of music, and the beautiful bridges of Budapest. So much to see, do and experience including Passau’s cobbled streets, Dürnstein’s blue-painted Stiftskirche and the dramatic Iron Gates Gorge. 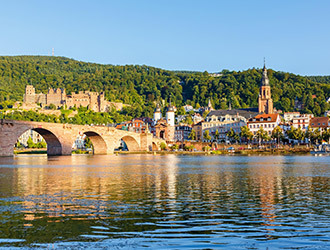 Explore the delights of the River Rhine. Stop off at the pretty Swiss town of Basel, take a stroll along the cobblestone streets of Strasbourg and admire the soaring twin steeples of Cologne’s magnificent Gothic cathedral. Other places we visit include Rüdesheim and UNESCO-listed Rhine Gorge. Nothing can beat France by river. 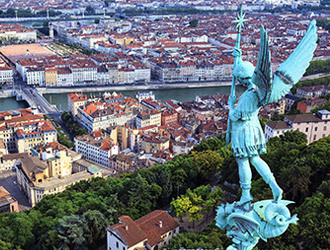 Your Rhône experience will take in the gourmet capital of Lyon; Avignon, the home of popes; quaint villages such as Viviers; towns including Arles that have inspired the world’s best painters and Tournon with its 16th-century castle. Needless to say, the food and wine will be exquisite. 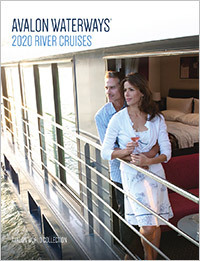 Our 2020 European and Worldwide River Cruises brochure features our comprehensive selection of cruises. Welcome to river cruising as it should be. 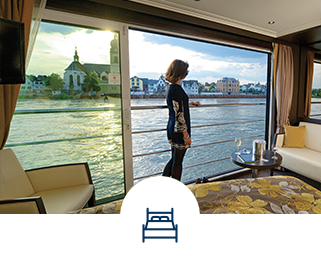 With Avalon Waterways, you have the time to relax, and the space to do it in. Beyond your wall-to-wall, floor-to-ceiling windows is a world waiting to be explored – your way. Whether you want to enjoy tasting Germany's best wines along the Rhine or get a culture fix at Vienna's renowned art galleries, the Avalon Choice selections of Classic, Discovery and Active excursions give you the chance to explore just the way you want to. Stylish, spacious and immensely comfortable, our beautiful staterooms embody the exceptional standards you’ll experience throughout all Avalon cruises. We want you to make each stop your own, whether you want to catch the latest Verdi production at Vienna Opera House or take a vineyard tour in Burgundy. We'll even pack you a picnic. With our award-winning VIP home pick-up service, you will be collected from home and taken to your departure airport or Eurostar station in a private executive car. Avalon Waterways is a trading name of Cosmos Tours Ltd; Registered in England No. 1175122. Registered Address: Avalon Waterways (trading name of Cosmos Tours Ltd), Wells House, 15 Elmfield Road, Bromley, Kent, BR1 1LT Copyright © 2019. All rights reserved. We are a member of ABTA and our flight-inclusive holidays are protected by the ATOL scheme. 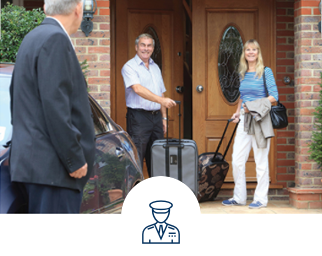 Private home pick-up service is available if you live within 100 miles of your departure point. If you live further than 100 miles, you can still take advantage of this service by paying £1.85 per extra mile. All meals are included on board your cruise. Hotel nights before and after your cruise may not include meals. Good Housekeeping Reader Recommended survey of Avalon panoramic views, 112 Good Housekeeping readers, 2018. 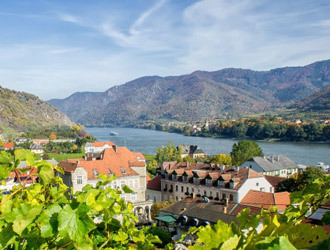 Save up to £3,400 per couple offer available on all new 2019 river cruise bookings made until 30 April 2019, departing the UK in 2019. Offer based on two people sharing a stateroom; single supplements may apply. Prices shown includes saving. Offer subject to stateroom availability. Offer valid on all new 2020/21 bookings made between 18 Feb and 30 Apr 2019. Early booking discount of up to £1,500 per couple, against our published brochure rate in February 2019, is subject to availability and based on two people sharing a stateroomLimited sailings have a higher introductory offer; see individual cruises for details. Single supplements may apply. Offer excludes Royal Suite staterooms. Standard deposit and loyalty discounts apply.